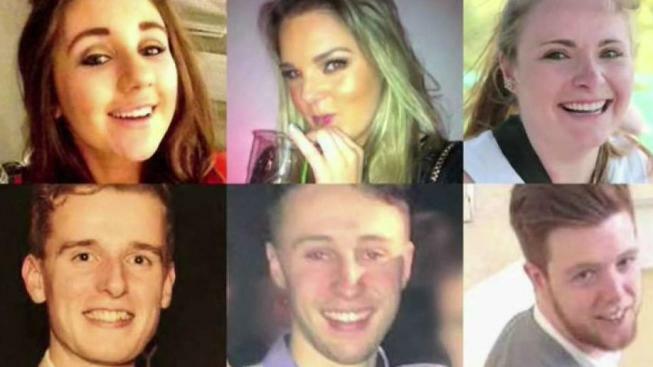 Families and dignitaries from Ireland were in Berkeley Saturday for the dedication of a memorial to six students killed when a balcony collapsed three years ago. Thom Jensen reports. Families and dignitaries from Ireland were in Berkeley Saturday for the dedication of a memorial to six students killed when a balcony collapsed three years ago. The parents of the victims gathered to speak and stand in solidarity to make sure the balcony collapse victims will never be forgotten and to honor them with a new law that could save many lives over the years. After the collapse of the 4th floor balcony at the Library Gardens apartment complex in June 2015 that killed four Ireland students and one from Rohnert Park, the families won a meaningful victory. "They have campaigned to change some of the building regulations here in this area to try to ensure that thing of this terrible nature won’t happen to other families in the future," said Ireland Ambassador to the United States, Daniel Mulhall. New regulations will require the immediate inspections of all existing stairs, decks and balconies in Berkeley and the implementations of stricter regulations on construction materials and designs. Last year, the owners of the property settled a multi-million dollar lawsuit with the families and with seven students who survived the collapse.